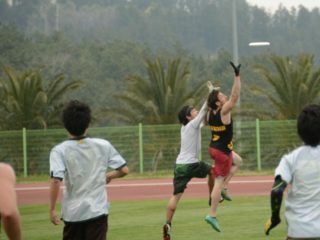 The recent article in Skyd, “Spirit of the Boycott,” touched on the AUDL Boycott and how, through its reinforcement of the binary gender, it erases the experiences of non-binary and transgender athletes, further limiting their access to the sport. I come to you today from a practical perspective, presenting what is being done in this space and what you as a player, community leader, club leader or national board member can do to help. 1. Change Our Structures. 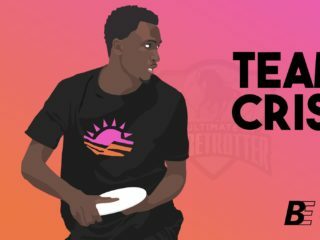 The mixed division of ultimate is one of the major appeals of the sport, but for non-binary and trans athletes, this binary presentation of mixed sport still presents challenges. Ultimate should take a leaf out of the International Quidditch Association and US Quidditch’s books and implement a similar gender maximum rule. Title 9 ¾, a play on Title IX, allows each team to have a maximum of four players who identify as the same gender in active play at once. This rule is specifically written to remove the binary connotation attached to gender, allows for non-binary players to compete without associating with a gender that is not theirs, and ensures a focus on diverse recruiting remains. Whilst this policy change may not have any practical change immediately—teams will still play 4:3 or 3:4 because most people playing identify within the binary—they create space for non-binary individuals to utilise when needed. The minor rewrite required to create such a change is far outweighed by the benefit it would have to non-binary and trans players searching for affirmation and acceptance in sport. By implementing a change like this, national organisations become proactive and welcome all future athletes, not just those that identify with binary genders. 3. Challenge Your Policies. Vancouver Ultimate League (VUL) has been spearheading a change in North America to increase inclusion both organisationally and operationally. VUL has written a policy on inclusion that specifically affirms trans and non-binary players by adding “Another Gender” and “Prefer Not To Say” to their registration fields and encouraging players to match on the gender they feel most comfortable matching with at that time, specifically recognising this may change. As a community leader you are uniquely positioned to help enact this change from a policy level that can impact people’s experiences of our sport right down to a grassroots level. 4. Proactive > Reactive. G Ryan, a former US National Team swimmer and college swimmer who identifies as non-binary and gender queer, highlighted in their US Swimming interview the importance of inclusive spaces being created proactively but this extends to policies, procedures and league development. Just because a league or a community isn’t aware of any trans or non-binary athletes at the time of the policy creation doesn’t mean the policy isn’t needed, in fact having inclusive policies will make our sport more attractive for gender diverse athletes. Club leaders can proactively support non-binary and trans athletes by facilitating conversations regarding gender that extends past the binary; encouraging the use of inclusive language both on and off the field; reviewing your policies to ensure they are inclusive of all and by considering how non-binary athletes fit into your program. 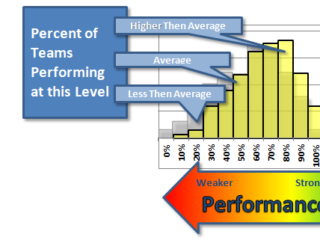 Club leaders and coaches can facilitate simple changes to language habits through the use of pronouns circles during pre-season or when new players join. 5. Make Space, Make it Safe and Make Time. Listening to the experiences of non-binary and trans players in your community will help club and community leaders make Ultimate an inclusive space for all. Making a safe space in your club for non-binary and trans athletes to discuss these experiences requires some independent education (See 7) but also strong advocacy roles. Clubs can designate one or two leaders within core leadership groups as ‘go to’ people, individuals who are already familiar with non-binary and trans issues, and can act as advocates, safeguards or support person without relying on the non-binary or trans athlete to lay bare their story time and time again. 6. Let Your Youth Lead. The youth of today are the future of our sport and they are more diverse, more accepting, more interconnected and more socially aware than ever before. As community and club leaders we can set good examples through our communication, language choices, policy development and advocacy but we will really succeed in achieving equality when we engage our youth, our future Olympians, in the conversations on all levels. 7. Recognise The Problem. The AUDL boycott has drawn attention to the plight of women in ultimate and fuelled a much needed conversation on equality that has filtered down to league levels. 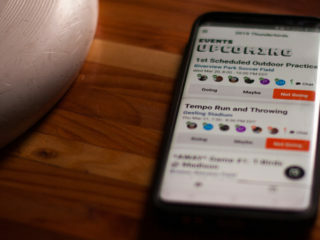 Players are being encouraged to use gender-neutral terms such as “Match D” instead of “Man”. Whilst these solutions create safe spaces for both female and non-binary athletes we must not stop until we challenge the binary concepts our sport reinforces. Lauren Lubin a non-binary runner and filmmaker says “Recognition is the most fundamental step – and our first major obstacle. You can’t have hopes, dreams and aspirations if you’re not recognised… And sports, systematically, is the most entrenched [institution] in gender norms”. 8. Educate Yourself. As pointed out by G Ryan, former US Swimming National Team Member and trans, non-binary, gender queer athlete, the education of teammates, captains, coaches and community members can be extremely emotionally and mentally fatiguing, often detracting from an individual’s experience in sport. Take it upon yourself to educate yourself about trans and non-binary issues in sports through the Transathlete.com resource or Victoria’s (Australia) Equal Opportunity Guidelines for definitions and sports wide best practices. 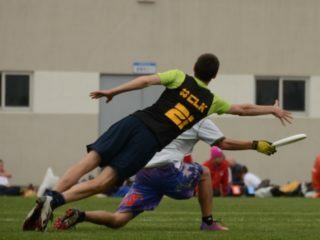 For articles from trans ultimate players check out Jenna Weiner, Ashleigh Buch or my previous article on our experiences and recommendations for change. 9. Support One Another. For as long as any type of bigotry exists in our sport, whether homophobia, biphobia, transphobia, erasure of non-binary identities or discrimination based on any other trait, our biggest asset is our ability to listen, support, empathise with and fight for our friends, teammates and community members. Until our sport is free from all inequality, the battle will never be over. There will be another boycott, another petition, another impassioned plea from the disenfranchised championing for inclusion. As a community, we can choose to be at the forefront of this movement and we can choose to use our voice. We can work to make our sport a safe place for all. The future is diverse, the future is intersectional.